The new Honda Vario 150 automatic transmission scooter has been launched by Boon Siew Honda. 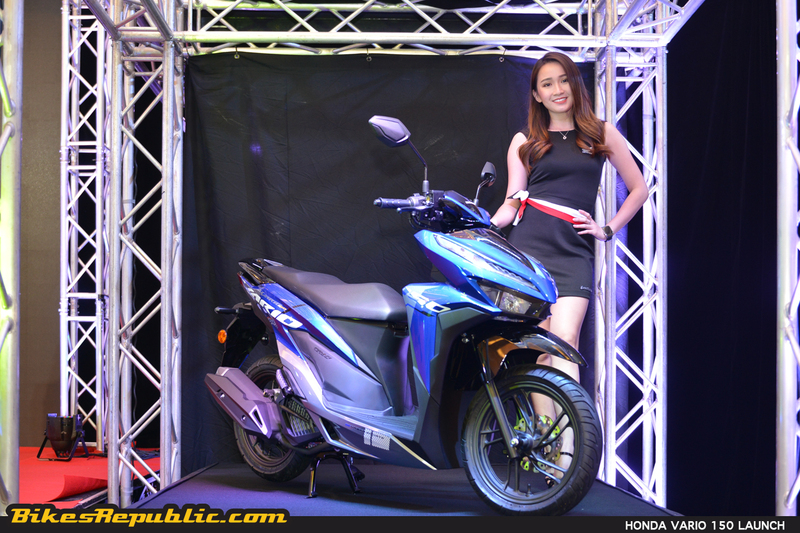 It represents an option for those looking for a Honda AT scooter other than the PCX150. 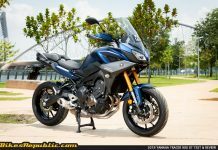 Priced from RM 7,199, for the standard edition and RM 7,399 for the Repsol Edition (basic selling prices without road tax, insurance and sales tax). 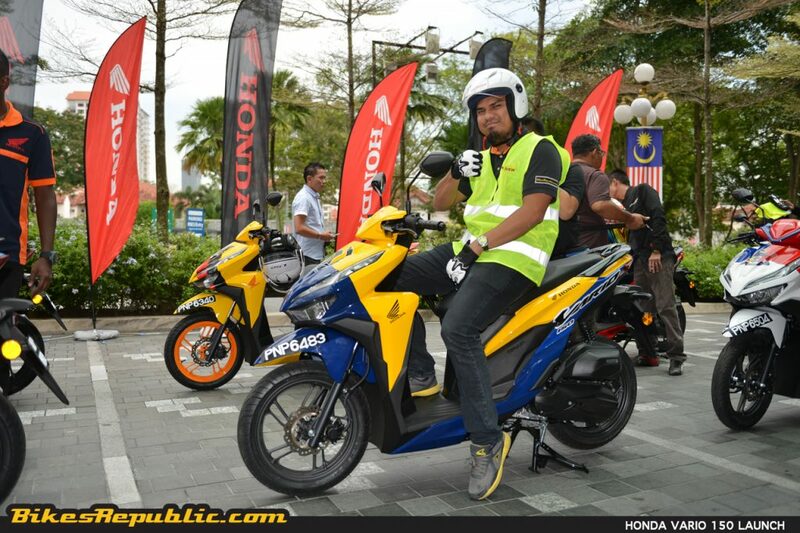 Boon Siew Honda Malaysia (BSH) has launched the new Vario 150 sporty automatic transmission (AT) scooter. 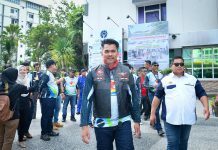 BSH calls the Vario 150 a “combination of sporty style, unstoppable performance and value-for-money.” The company had noticed a growing popularity for automatic scooters in Malaysia among younger riders who are taking up motorcycling. 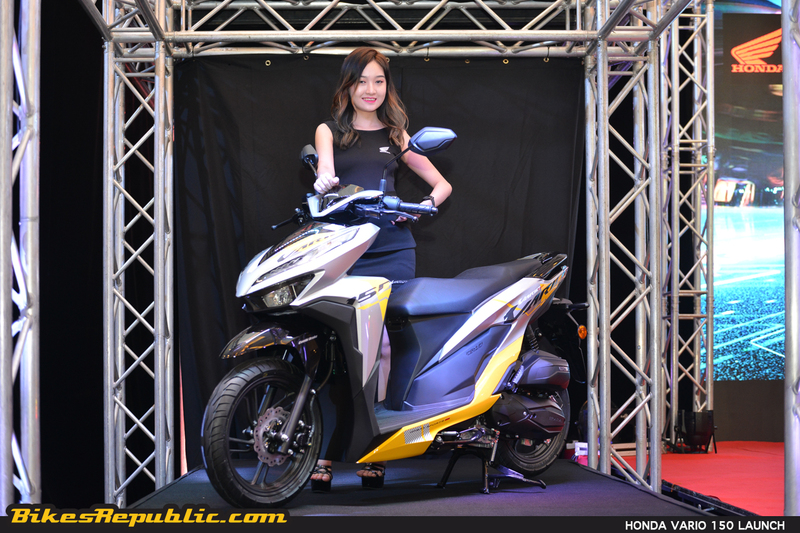 As such, the Vario offers an option for buyers who seek an AT scooter other than Honda’s own PCX150 luxo-scoot. 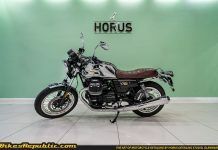 The Vario 150 may be priced competitively (read: affordably), but it does include many features found on more expensive bikes of the same category. 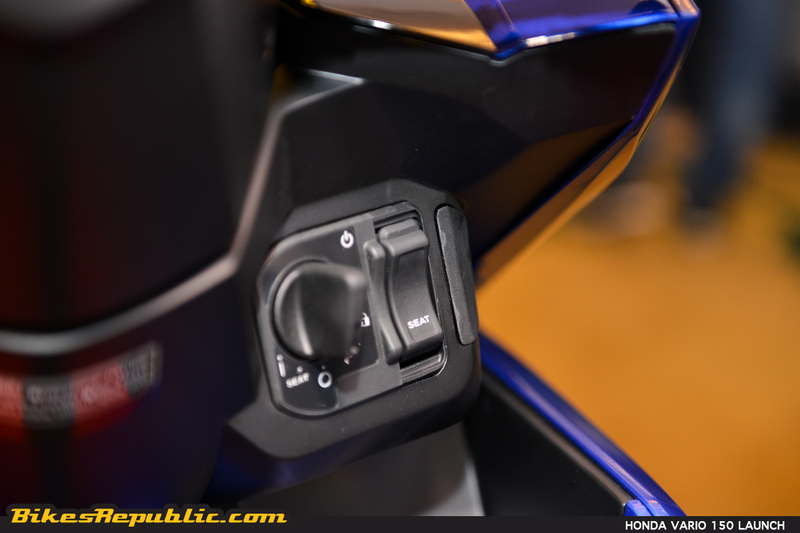 For starters, it uses the SMART Key employed on the PCX. This key system does not use a physical key to unlock or turn on the ignition, instead, the bike’s immobilizer and ignition responds to the key’s microwave signals. 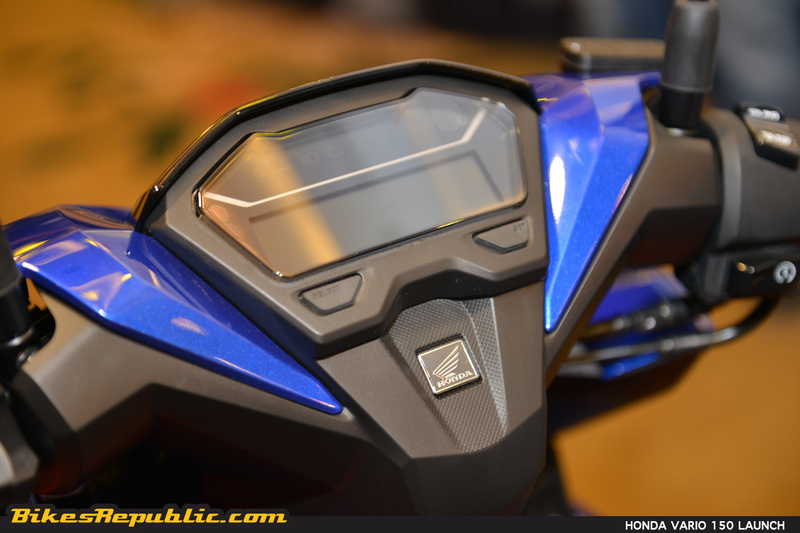 It’s similar to the one employed on the Yamaha NMAX, NVX and XMAX scooters but Honda’s system is much easier to understand and use. Other key feature is the Combi Brake System (CBS). 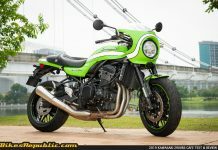 As the name suggests, either the front or rear brake will also activate the brakes on the other end. This is a great system which ensures front and rear stability under hard braking or when the bike is leaned over in a corner. 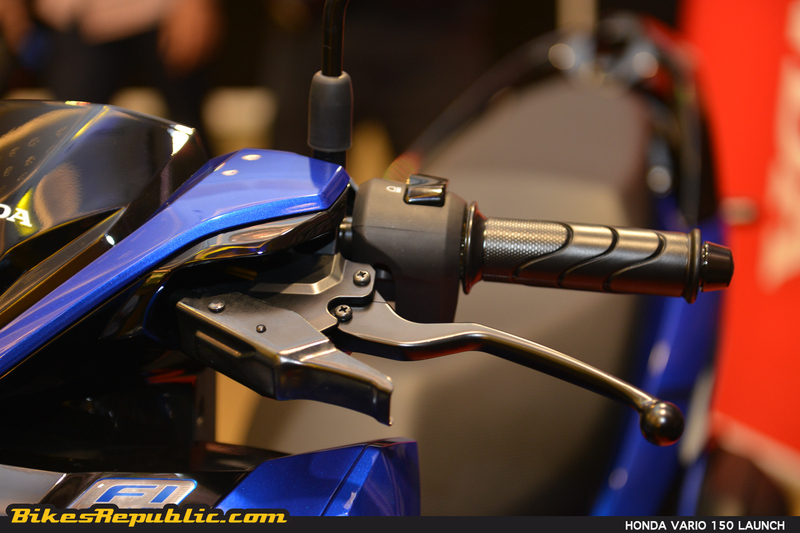 First seen on the Honda Beat, the Vario’s CBS system works despite having a drum brake on the rear wheel, by using a simple yet ingenious pulley system. 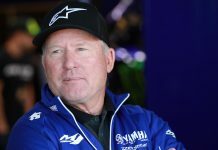 As an interesting note, the more complex CBS system is employed on Honda’s large-capacity bikes such as the VFR, CB1000R, Gold Wing, among others. 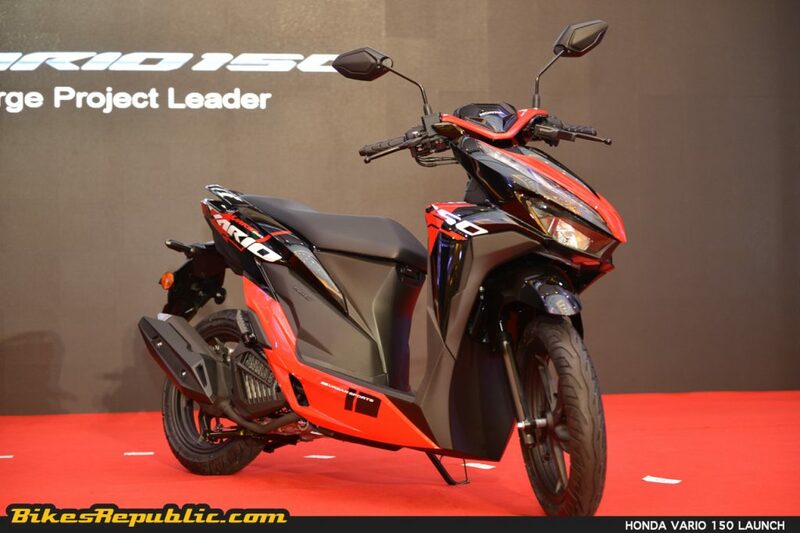 The Vario 150 also features a fully-digital LCD instrument panel, LED taillight and LED headlights. The main headlights are split into two, but Honda included another set of headlamps on top for maximum visibility. Scooters need to be convenient, hence the bike has an 18-litre underseat storage space; enough for a helmet. There are two storage spaces and a hook on the panel beneath the handlebar. 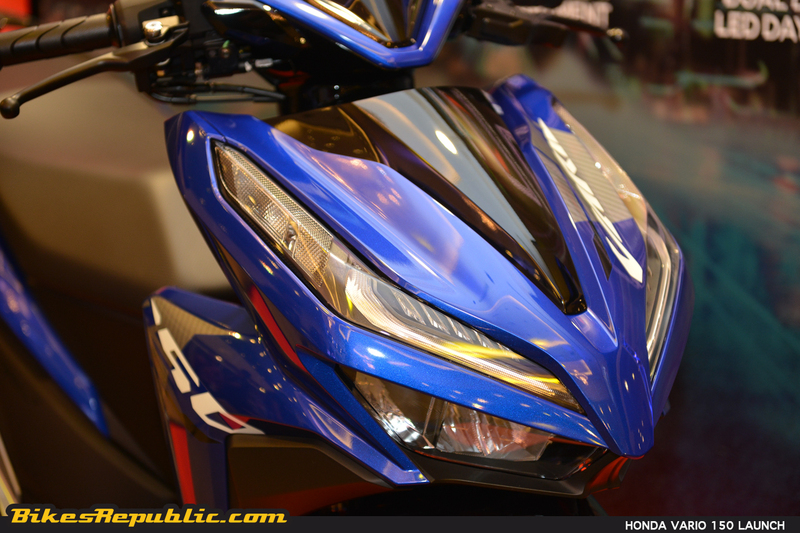 The engine is based on the liquid-cooled 149.3cc powerplant found in the PCX150, with some of the same features. The cylinder dimensions are the same at a square 57.3mm bore and 57.9mm stroke. 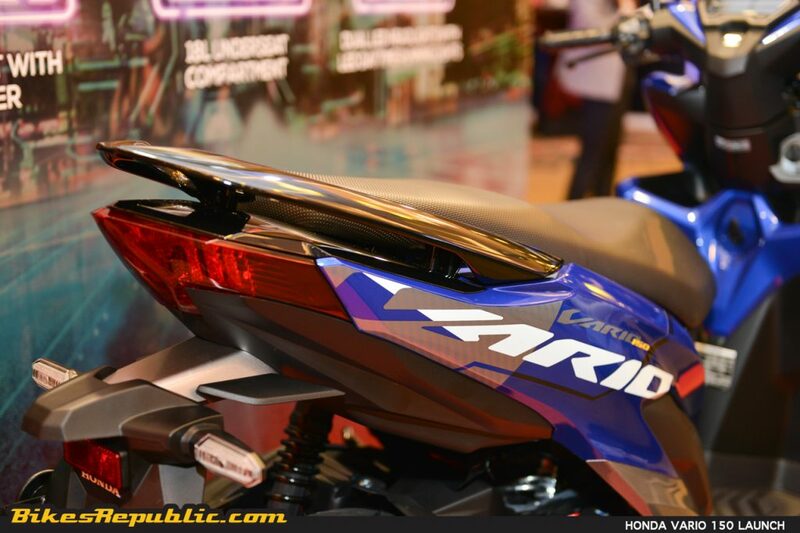 The Vario’s engine produces 13.1 PS at 8,500 RPM and 13.4 Nm at 5,000 RPM. 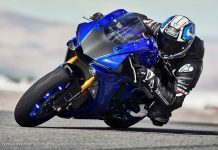 Notice that there is 3,500 RPM range between maximum torque and horsepower, meaning the engine is very “flexible.” The word describes the availability of power anytime the rider opens the throttle. 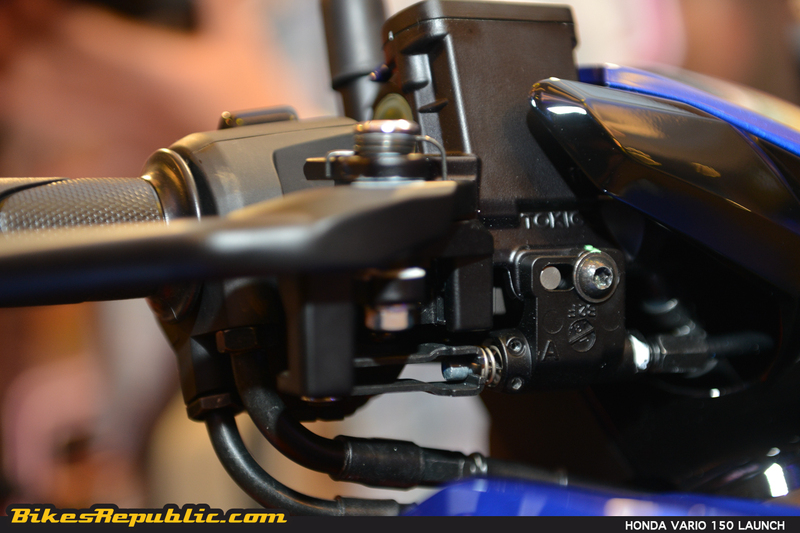 Honda has included the Idling Stop switch for the Vario 150. The engine turns off a few seconds after coming to a stop, after riding faster than a certain speed. The feature helps to save fuel and vibration during extended stops at the traffic lights. The engine is automatically restarted when the rider twists the throttle. BSH treated us media to a test ride after lunch, escorted by the Traffic Police. We concluded that the bike had smooth power take-up, great brakes and of course, flickability around the lunchtime traffic. The PDRM had also stopped us a junction for the Idling Stop function to kick in. The Vario 150 didn’t give a crazy hard kick once we twisted the throttle after the engine restarted, which is a welcomed feature. You wouldn’t want to end up in the back of a Vellfire once the lights turned to green, am I right? Another aspect we noticed was how the suspension soaked up bumps and potholes, which was surprising for a scooter. 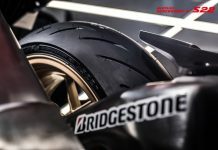 We also didn’t detect the front wheel wobbling when hitting fast corners. 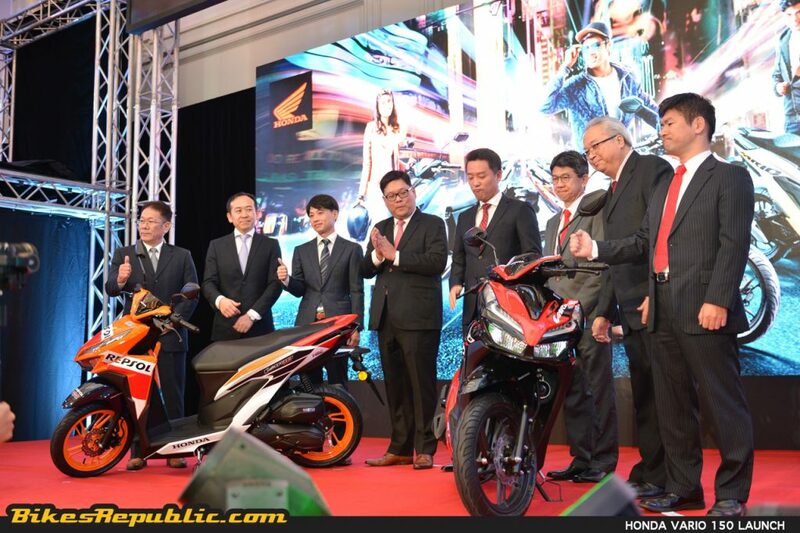 Boon Siew Honda hopes to sell 1,000 units of the new bike per month. 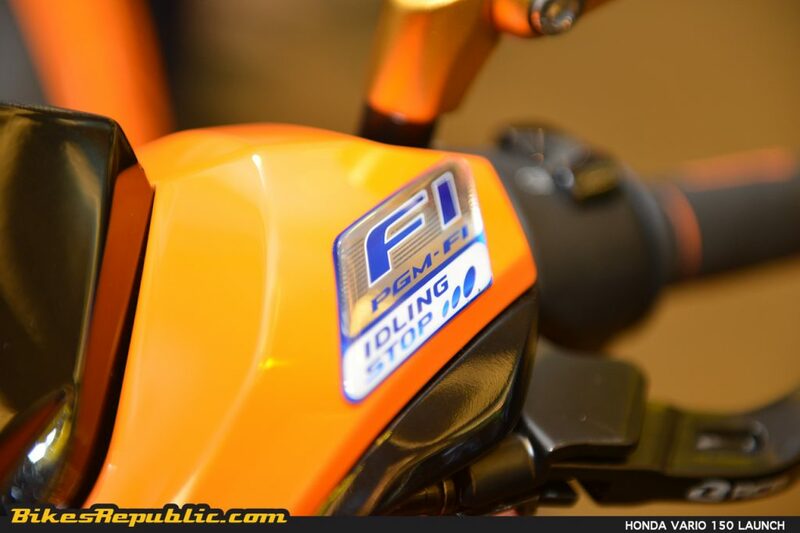 The four colour options are Pearl Magellanic Black, Pearl Nightfall Blue, Force Silver Metallic and of course, Repsol Edition. It will be available at Honda dealers immediately and comes with a 2-year or 20,000 km manufacturer’s warranty (whichever comes first). Lastly, Boon Siew Honda specially airbrushed 14 Vario 150s in the colours of the national flag and flags of individual Malaysian states in conjunction with the National Day. 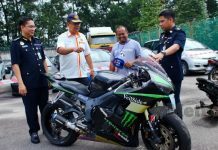 These bikes will be travelling throughout Peninsular Malaysia. For more information, please visit Boon Siew Honda’s official Facebook page and official website for more information.